Here’s a strange one: Ecuador is jumping on the virtual currency bandwagon, creating one that the government will use to further its profligate spending. Apparently President Rafael Correa’s government has run out of NGOs to beg from, banks to borrow from and resources to steal. Consider what they’ve already done: They have defaulted – ahem – “repudiated” $3.2 billion of debt. They have mortgaged the country’s gold and oil assets as much as they possibly can to Goldman Sachs and China. No more begging, borrowing, or stealing. But the spending must continue. So they think a Bitcoin-like currency is the way to go. In congressional testimony back in June, central bank President Diego Martinez said the digital currency would be “more hygienic” than using U.S. dollars. They just care about the people, you see. It’s almost comical the lengths and depths some governments will go to in order to live beyond their means, to spend their economies into oblivion, to drive their currencies into the ground. Except Ecuador has no currency of its own to drive into the ground. That was done already and the U.S. dollar was humiliatingly adopted as the domestic currency of Ecuador back in 2000. But where there is a will there is a way. Maybe this new currency will help President Correa’s agenda. There are only so many times you can repudiate debt before people stop giving you more loans. But the president, a committed socialist, has public works to spend on, as well as 2 million Ecuadoreans (out of a 14.5 million population) that get direct cash transfer payments from the government. Fixing roads, etc, is Correa’s idea of bringing the country out of poverty. Meanwhile, he is doing everything he can to alienate, demonize and outright steal from businesses and job creators in Ecuador. Now, maybe he has some valid points about American imperialism and unfair contracts. But who would want to do business in Ecuador after his lawsuit with Chevron, and the ongoing publicity battles they are waging? The repudiation of the previous administration’s debt was done because Correa claimed it was illegitimately contracted by corrupt and despotic regimes, yet he served as finance minister under his predecessor – one of these very “regimes”. He openly advocates not servicing current debt in favor of social spending, while seeking out more debt. Would you invest under those terms? How will his people ever get productive jobs? There is a lot of worry on the horizon that retirement savings and bank accounts will be automatically converted from U.S. dollars to sucres – the name of the new digital currency. Will the policy eventually be that contractors are paid in sucres and that legal tender laws will be changed forcing people to accept them? At this point, the sucre is just a parallel currency, one that will hopefully allow the government to keep spending at the rate at which it has become accustomed. The most interesting thing here is that, up until now, Bitcoin and other virtual currencies have been alternatives to state-run currencies. They have been a way for private citizens to buffer themselves against the effects of bad monetary policy. Ecuador is trying to harness the power of digital currency to enable bad government monetary policy. It will be interesting to watch. We can roll our eyes at this banana republic style craziness down in South America, but really, the United States is not really that different. The difference and the advantage that we have is the Federal Reserve and reserve currency status of the world – at least for now. This means we can print money, and within reason, it retains its value. We don’t have to repudiate debt outright; we can print our way out of it, or at least enough to keep our heads above water for now. But at some point, all the printing has the same effect as repudiation. Our government spends, our central bank enables it by printing with impunity, and all the inflation is exported in the form of dollars that are worth less and less. That’s how it has worked in the U.S. for four decades or so. But like Ecuador, we are pushing even those limits. The world has noticed. They are paying attention. 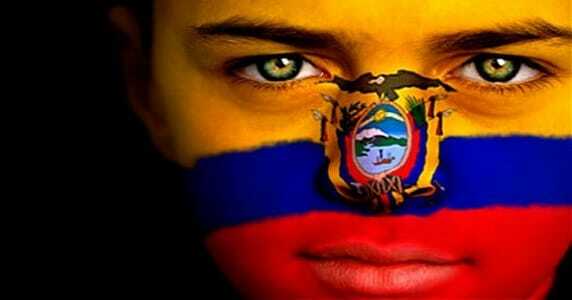 But it is not just Ecuador using the sucre. It was recently announced that Venezuela bought a 5,000 ton shipment of palm oil from Ecuador that settled in sucres. It was all part of a regional agreement between the ALBA bloc (a group of Central and South American countries) to adopt and execute trade in sucres, and it has begun. The world is pulling away from the dollar, as it is able. Do you have a buffer for the coming fall in value?